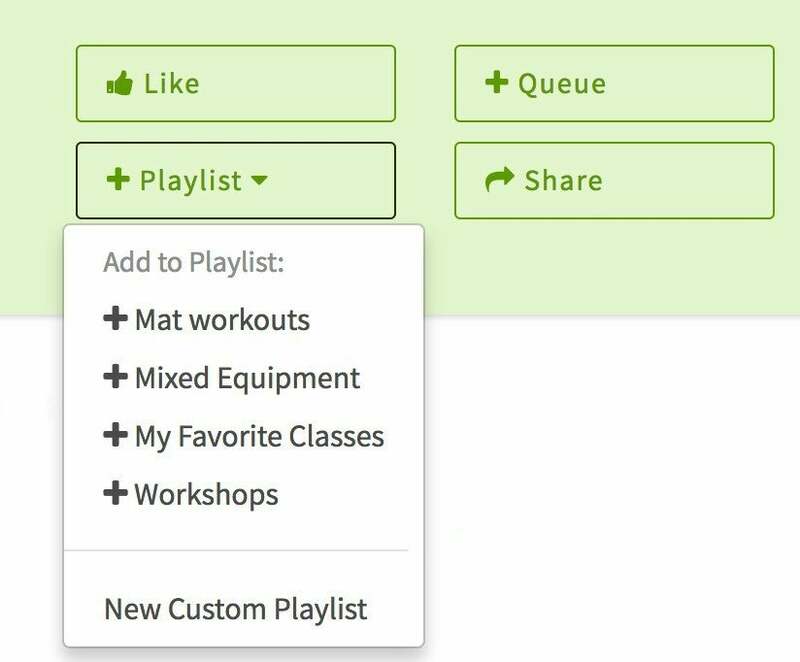 Custom playlists are a great way to keep track of your favorite videos, so you can practice Pilates your way, anytime! Step 1: Go to any video and click + Playlists > New Custom Playlist. Step 2: On the next screen, you can give your Custom Playlist a name, decide to make it public or keep it private, and add descriptions to keep track of the type of video in the playlist. Step 3: Once you have clicked Create Playlist, you will be taken to a screen where you can edit your playlist. You can also change the order of the videos by clicking the Re-Order This List button and saving any changes. To find your playlist, click Your Name > My Playlists. Finally, you can delete videos by clicking the small x at the top right of the video. We hope you enjoy customizing your playlist to repeat your favorite workouts!